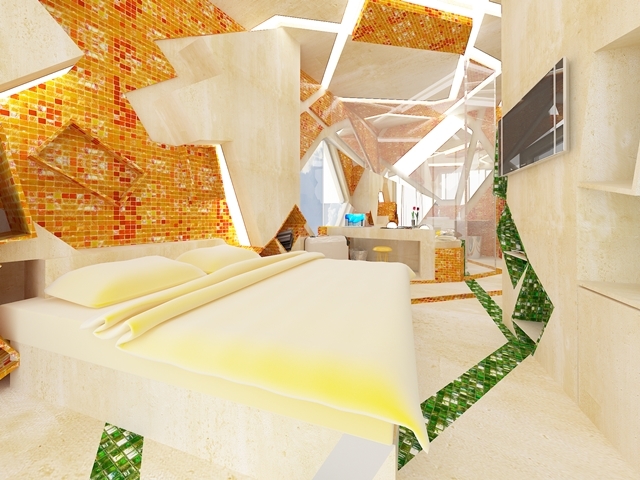 Today we received interesting concept design for hotel room in Bulgaria by Branimira Ivanova & Desislava Ivanova of Gemelli Design Studio. 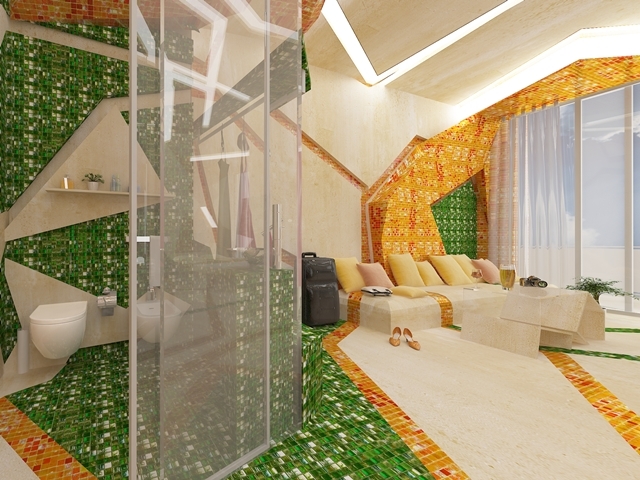 Take a look how girls imagined combination of orange and green colors. 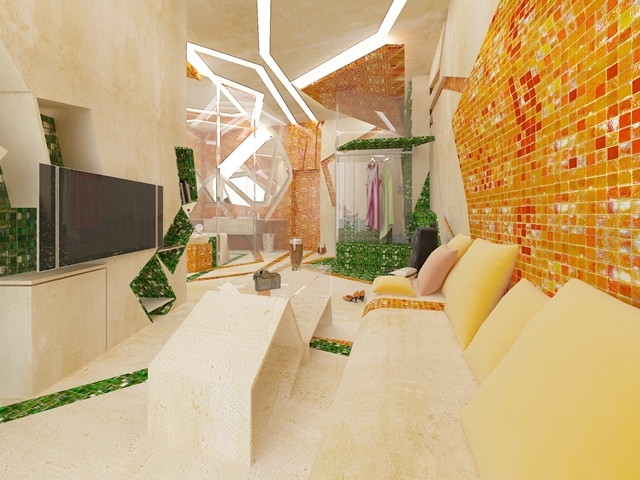 "The basic concept of this space is the converting of the flat surfaces – walls, ceiling - into a three-dimensional sculpture. 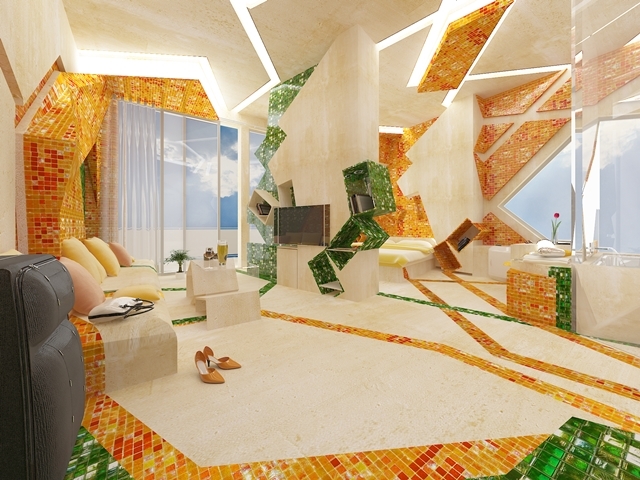 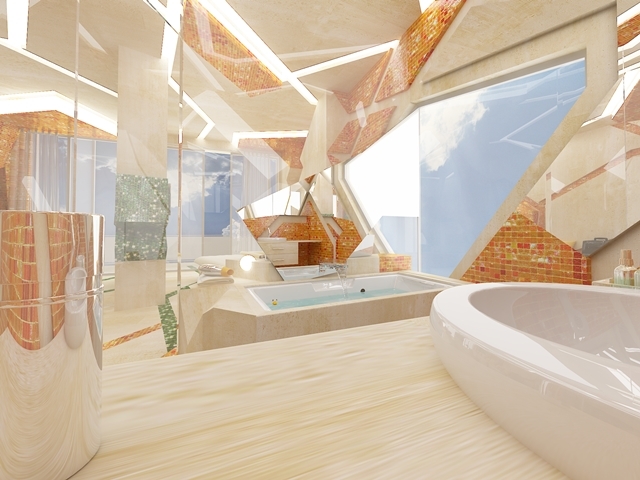 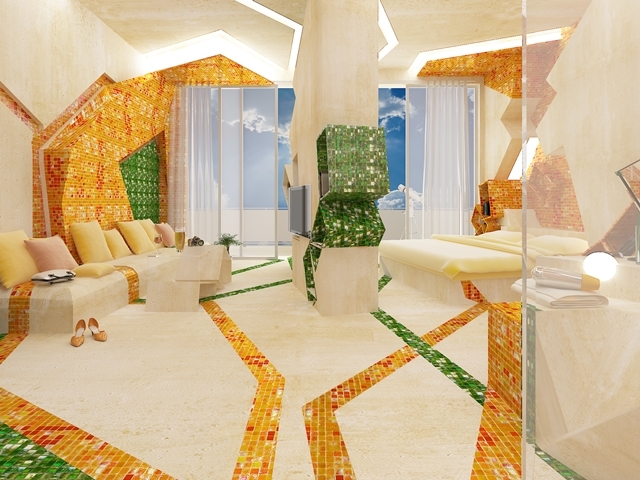 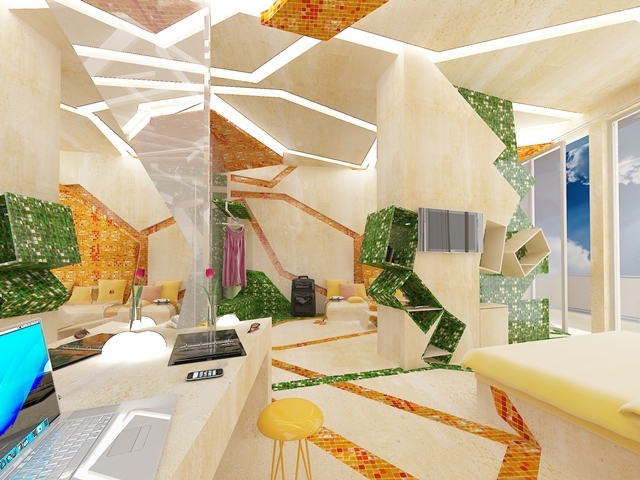 With the use of luxury ceramic tiles for this sculpture the room turns into a curious and exciting space. 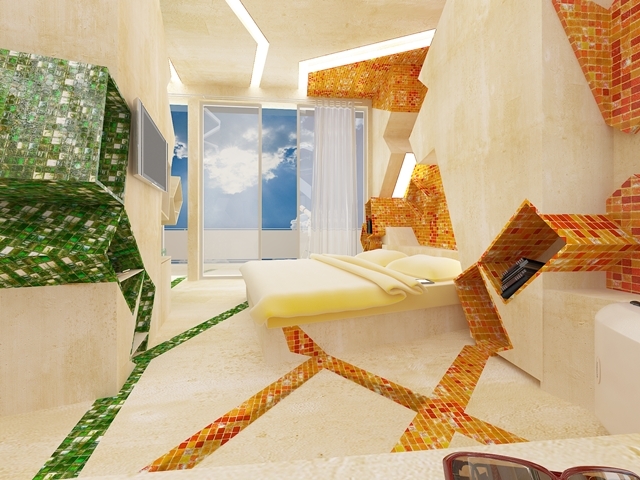 To become an entire organism we decide to use colored textile that looks like the texture of the tiles." 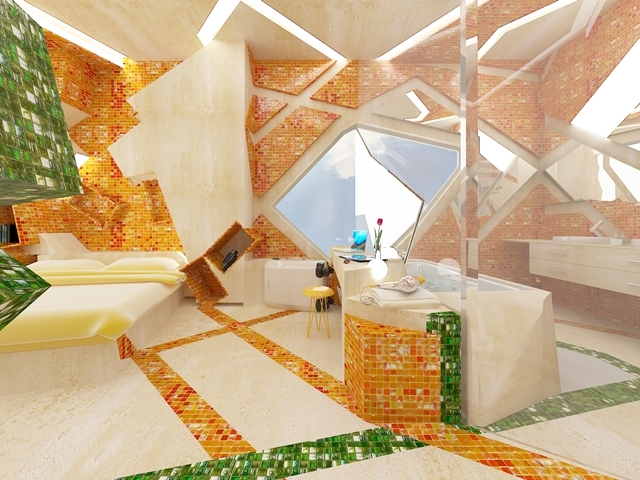 Take a look at more of interior design.